So another season of Philippine Fashion Week just wrapped up. (I know I’m so delayed with my posts!!) This season, I was fortunate enough to participate again in a runway show, namely for SM GTW. I was in great company too! Together with my fellow fashion bloggers, we sashayed down the runway like there’s no tomorrow! Getting all dolled up by Jim Ros. Backstage mayhem! It’s always so chaotic backstage whenever a show is about to start. So many people running and shouting you’d think there’s some sort of fire or earthquake happening. I like the chaos though, it gets me all pumped up and hyper. That’s the head of the makeup and hair team, Lourd Ramos making sure we all look our best! Thank you for making my hair so beautiful, Lourd! Cute models chatting it up backstage while waiting in line for their turn on the runway. They look like they’re learning how to do the karate chop haha! The models for Parisian, SM’s shoe line. SM Parisian was actually the first segment of the show, followed by SM GTW then SM Ladies. I love Parisian’s underwear + plastic concept! And we’re on! 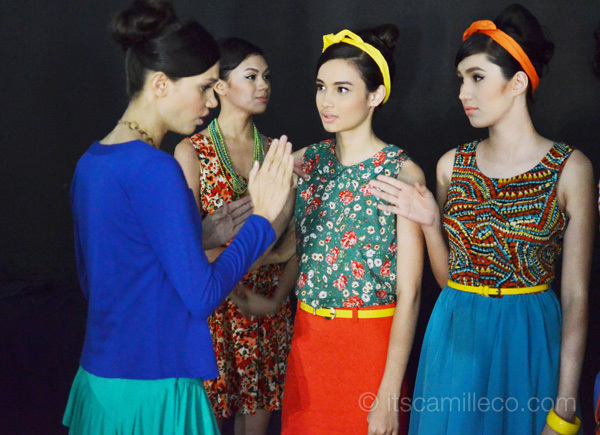 SM GTW stands for SM Girls Teen’s Wear so our segment was full of fun and colorful clothes like this one. From stripes to tribal to floral, SM GTW has all the prints you’re looking for this season! And then it’s my turn on the runway! Eep! Thank God I didn’t trip haha! That’s always my main concern whenever I participate in these shows. Of course, once you get on the runway, your mind just goes blank completely. You have to savor the moment! It’s really a different kind of high. Maybe one day I’d get to walk in a couture gown, oh wait, but then I’d most certainly trip if I ever I do! Fellow blogger, Patricia. You can’t see it clearly here but she’s actually wearing an eyelet dress. So cute! Fellow blogger, Lissa. I love Lissa’s top!!! Definitely getting that from SM GTW. Fellow blogger, Laureen in another sheer lace top that’s similar to Lissa’s. So aside from colorful prints, SM GTW also has a lot of lace and pastels this season. Whatever floats your boat, SM GTW has! And that’s a wrap! So many yummy-colored clothes perfect for young girls everywhere. Congratulations, SM GTW! Too bad I wasn’t able to take a lot of photos. There were so many pieces that I liked! Fortunately for you, you can see the whole collection and watch the full show here. Like SM GTW on Facebook too while you’re at it! Is there fashion events that are open for everyone?! Sorry I don’t know. Audition! You look cute. How was it like doing the runway? your outfit is really cute!! sooo kikay and fresh looking!! hi camille…did you meet leighton meester in the fashion show? I just saw here :) I wish I met her and shook her hand haha! yeeyyy. runway!!! looking at your photos seems like watching america’s next top model. 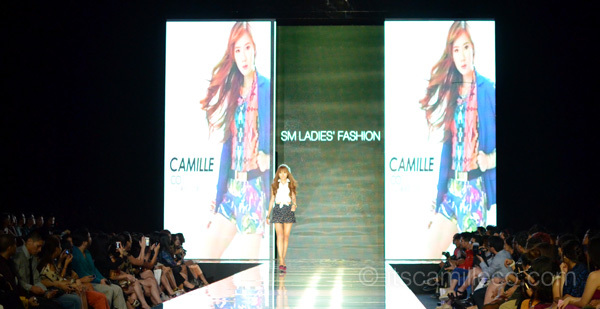 Ms. Camille, not only a blogger, but definitely a certified runway model too. :) you look so good. It’s amazing knowing how ‘sikat’ you are yet you reply to each & every comment here :) It seems you’re a very humble person :D Keep it up! love it !! i hope one day i can be working like work all the time !! Thanks Dheya! My favorites are the mullet skirts and lace tops :) Their dresses are really nice too! you look fantastic Ms. Camille! ps: it was nice meeting you at BU3 :) i had the chance to take a photo with you! I wish I saw the white one! Camille, you are definitely my style icon! I love the way you dress and I will be buying stuff from GTW c: I wish that one day I can be like you! I’m in love with your hair! and its color! :) Oohhh, so pretty! Choose to send here my thoughts for you rather that tweeting as im pretty sure i’ll be getting a reply(love that you take time to reply each on every comment being posted here). I never failed to read your blog since October-ish last year and dang, like Dang…im so hooked with this blog. 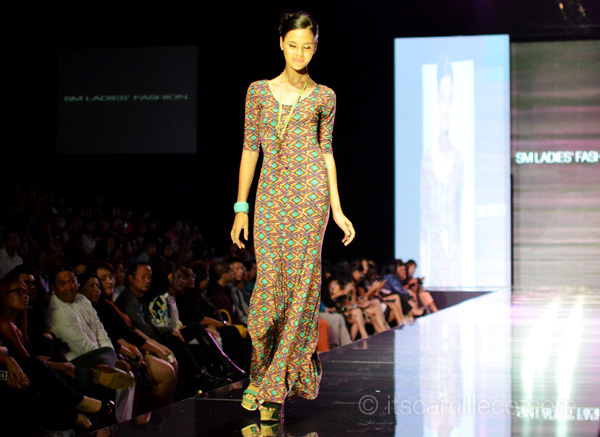 I am based in SG yet my fashion inspiration is all the way from my hometown Manila love. You simply rock in your own way; your style Rules! Keep on inspiring us. Cheers! Yay! I really wish I can reply to all the tweets I’m getting like how I used to, but it’s just really impossible :( Thank you for understanding! :) And wow, you’re based in SG! “Dang!” Haha! Too bad I didn’t see you rin sa BU3 (T_T) I cried buckets! My friend had a lot of loot from your stall though. Di kasya sakin ang shoes huhuhuh. Thanks Mademoiselle H! :) I’d love too! hey ate cams! are you in a fight with kryz uy? Noooooooo! We were just together! That’s so weird haha! I love the hair! You look gorgeous as always ;) And the shoes… I’m dying to have a pair of those! Thanks Joy! I say go for it! Ack! Here I go again! Thanks Jeline! Haha I think I was texting someone :) Thanks Stella! Aww. You look so cute, Camille! <3 I wonder how you dressed up when you were a 16-year-old.. Something like this, I guess? Hehe. Oh and thanks for replying. Every time. =D Much love and gratitude.